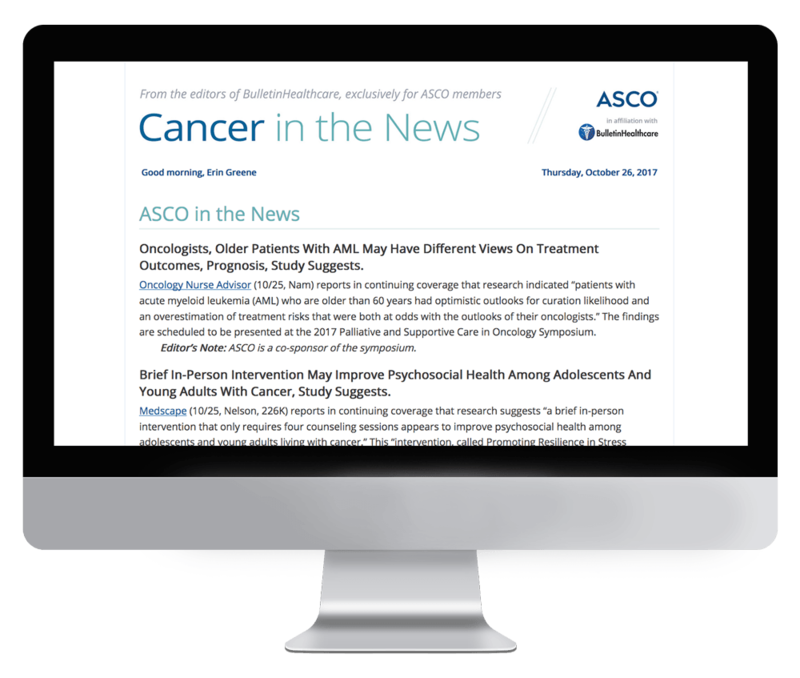 Cancer In The News is the official briefing of the American Society of Clinical Oncology and is a highly valued member benefit. It is delivered Monday through Friday by 8 a.m. EST. The American Society of Clinical Oncology is the leading professional oncology society dedicated to overcoming cancer. Its members represent all oncology disciplines and specialties in the United States. Subscription to Cancer In The News is exclusively limited to ASCO members. If you are a member of ASCO and would like to receive this briefing, please reach out to the association directly.